The nail polish brand's interactive media and advertising director reveals her secrets for leveraging authentic, personal social media moments. NEW ORLEANS: Social media isn't always, well, social. Marketers can get so wrapped up in likes and retweets that they lose sight of the fact that social is meant to establish meaningful connections through two-way conversations. "It's about a relationship," said Marleine Pacilio, interactive media and advertising director for OPI, at the Bazaarvoice Summit in New Orleans. "And the best relationships should be light, fun, personal, and easy." Indeed, Pacilio knows a thing or two about strong brand-consumer relationships. In fact, all of the companies that she's worked for have devoted followings. Take OPI, for instance. The nail care company has about 3.5 million pieces of consumer-shared content, she stated. Pacilio also worked for beloved brands Disney and Nintendo of America. Yet just because companies don't have the same passion from followers that these brands do, that doesn't mean they can't get there, she argued. Here are nine tips from Pacilio on how marketers can use social to drive engagement and form authentic, personal connections. 1. Listen to what your customers are actually saying. Have you ever tuned someone out because you were so fixated on what you were going to say? Marketers can be guilty of that, too. In fact, they can get so caught up in their own brand messaging and talking at consumers that they completely ignore consumers' feedback and insights. "That's not a conversation," Pacilio said. "That's advertising." So, if marketers want to be part of consumers' conversations, they have to start by figuring out what exactly consumers are talking about. Think about a party: It's easier to join a conversation when you already know what other guests are talking about. Same goes for social media. Knowing which topics are trending among your audiences will help brands slide into those conversations naturally and avoid what can seem like random interruptions. "Insert yourself into conversations that are already happening on their own," Pacilio said. 3. Focus on being authentic, not promotional. Some marketers may be temped to insert a "buy now" message every chance they get. Fight that temptation. Pacilio discouraged hard-sell tactics and instead suggested initiating conversations by posting content that reflects what consumers are interested in and what's meaningful to them. "Social is about a relationship," she said. "You don't constantly try to sell your friends stuff. And if you did, you probably wouldn't have those friends for very long." 4. Don't rule out conversations that may not directly align with your brand. Just because an existing conversation doesn't have a clear connection to a brand, that doesn't mean the brand can't find one. For instance, Pacilio explained how OPI struggled with authentically integrating its brand into this year's Super Bowl. However, she knew that a lot of women would be watching the game, and she wanted to offer something fun for them to talk about. So OPI launched Super Poll 2015, a social post that asked consumers whether they were on "team matte" or "team glossy." Not only did the poll create engagement, but it was also one of the brand's most highly shared pieces of content. "We were trying to be relevant and have something to say in a conversation that was already going on that wouldn't involve OPI," she said. 5. Create content that's unique, not just relevant. Your brand isn't the only one vying for consumers' attention on social. To get noticed, marketers need to produce content that's unique to their brand. 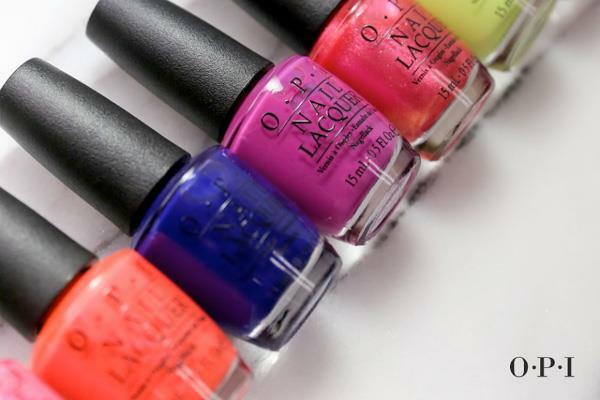 OPI, for example, provided behind-the-scenes images of models getting their nails done during New York Fashion Week. "You still have to be strategic and find a way to make those areas and conversations that are already relevant to you special," Pacilio said. 6. Prepare for real-time moments. While working at Disney Interactive Entertainment, Pacilio led the online and social media marketing for the movie "Wreck-It Ralph," a film about a video-game villain who wants to become a hero. One of the film's scenes features Ralph talking to a group of other video-game villains, including Nintendo's infamous character Bowser. When Pacilio later moved to Nintendo, she knew that people had personal connections to both characters. So when she learned that "Wreck-It Ralph" received an Oscar nomination for Best Animated Feature, she created two pieces of creative featuring Bowser for Nintendo, one for if "Wreck-It Ralph" won and one for if the film lost. After finding out that the movie didn't earn a victory, Nintendo tweeted the following image. According to Pacilio, the post was the most retweeted piece of content that the company had produced all year. Ironically, marketers need to be prepared to be spontaneous. Preparing for real-time events will help a brand's response feel more organic. "You have to pay attention to what's happening out there," she said. 7. Turn small moments into big moments. The Bowser post wasn't Pacilio's only win for Nintendo. She also came across a story of a dad who made pancakes in the shapes of different characters for his daughter. News of the dad's edible masterpieces spread, and when Pacilio discovered that he was making pancakes that looked like the characters from "Mario Bros.," she jumped at the opportunity to post images of the pancakes to Nintendo's social channels for National Pancake Day. According to Pacilio, the post nearly quadrupled the brand's average number of likes on Instagram. This success was achieved by recognizing a small authentic moment and then amplifying it into a bigger social conversation. 8. Think outside of the box. This year, OPI debuted ColorChat, an app that created an alphabet out of nail-polish colors. Users could put different colors next to each other to show their "true colors" and send coded messages to their friends. The brand promoted the app on social media by posting pictures of each paint-letter combination on Facebook, generating press and buzz. "At OPI, we are stepping outside of the boundary [and the] box that you would expect to put us in," she said. 9. Be ready to make tough choices. There's an infinite number of conversations happening on social media, and marketers can't capitalize on every single one. So Pacilio encouraged attendees to be prepared to make choices about which conversations they want to pursue. Of course, it helps when marketers have the staff and resources to act on several conversations at once. As Pacilio put it, "It's about dividing and conquering." This article first appeared on Direct Marketing News.